Fourteen youths from Union Island will be the founding pillars of the first ever Junior Ranger Programme in the country. The programmeâs curriculum gives children aged 10-13 an opportunity to become educated on environmental topics and gain additional personal development skills through a hands-on based approach, combining outdoor activities with interactive classroom sessions. The main objective of the programme is to foster youth empowerment through teaching of basic skills in topics of personal development, environmental stewardship and community outreach, which is aptly captured through the programme slogan of HELP – Heal, Explore, Learn and Protect. The Junior Ranger Programme is overseen by a steering committee, which consists of Kerise John (chair), Kenneth Williams (vice-chair), Jeremie Tronet, Roseman Adams, Dannis Coy, Stephanie Browne, Stanton Gomes, Kenya Forde, Shurlan Joshua, Lesroy Noel, Katrina Collins-Coy and Abdon Whyte, whose responsibilities include, but are not limited to, the selection of participants. 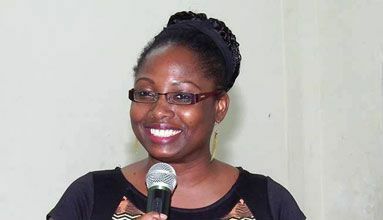 âI have high hopes and plans for the programme in the future â adding island exchanges and the potential for PADI dive certification and that the participating children will learn to open up to new career options in environmental fields,â said acting executive director of Sustainable Grenadines Inc Orisha Joseph. Kenneth Williams, manager of the Tobago Cays Marine Park, encouraged the rangers to fully participate in the programme and to become the best they can, emphasizing the importance of teamwork and peer support to foster success. The feature address was delivered by Lorette Coy-James, principal of the Stephanie Browne Primary School. James shared her personal experiences of Union Islandâs unique environment and expressed her hope that the programme would inspire youth to care and protect nature. She stressed that we need to protect Union Island, as it is âheaven on earthâ. The Rangers will meet every other Saturday for the next year. It is the hope that the success apparent in the first meeting and throughout the launch ceremony would carry through the rest of the programme. The programme is being funded through the United States Agency for International Development, through The Nature Conservancy Caribbean Marine Biodiversity â Grenadines Seascape Project.